and a low noise, wide bandwidth, track-and-hold amplifier. Â±5 V range, and 0 V to +10 V range. 1 Protected by U.S. Patent No. 6,731,232.
power consumption and package size, and increased ac and dc performance. and VSS supplies are required for the Â±12 V input range. sampling and conversion of two channels. 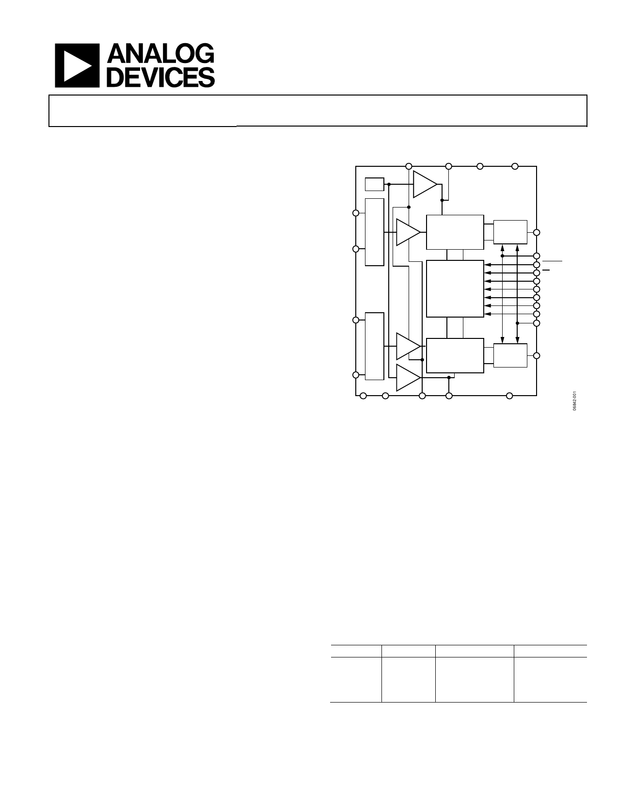 Fax: 781.461.3113 Â©2007-2011 Analog Devices, Inc. All rights reserved.